perform a job audit, and more. MANAGE IT ALL. ANY PLACE. 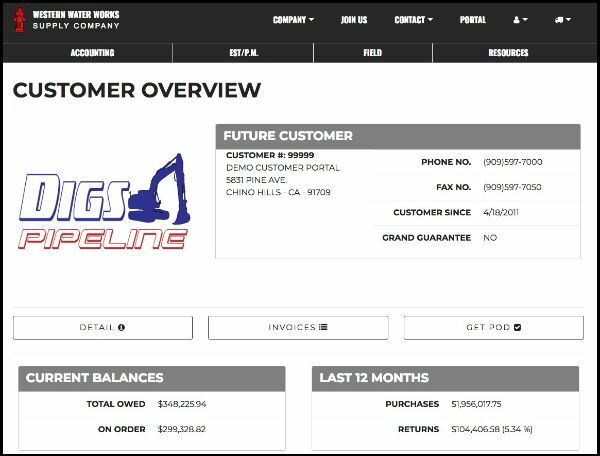 Our accounting tools allow you to see your latest statement, download proofs of delivery, see your account detail and look up detail on invoices. Our proprietary Estimating Tools allow you to get plug pricing for spec book assemblies from water utilities all over California and Utah. 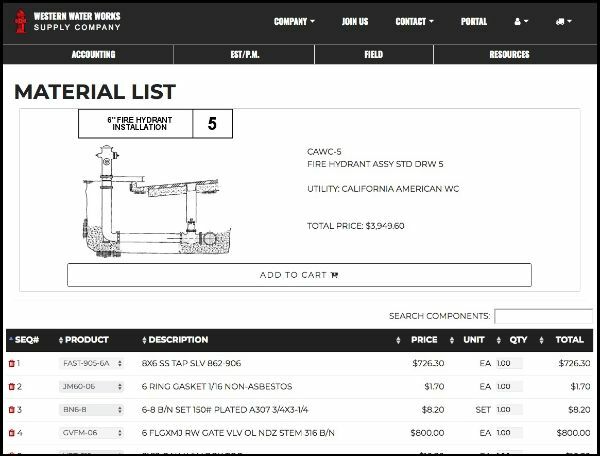 You can even customize the assemblies to fit your application. 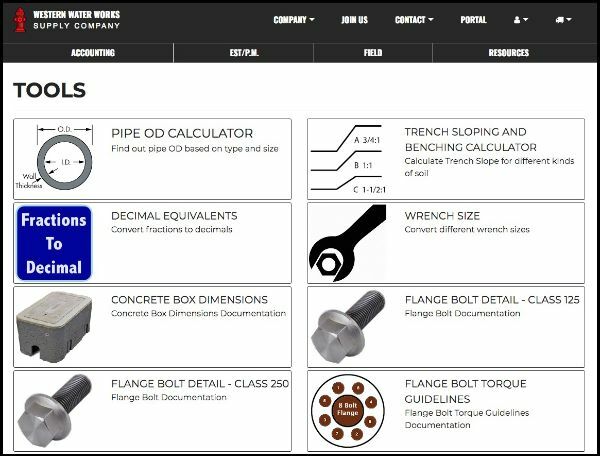 If you are in the field and need to know what the slope of a trench should be based on the soil you're working in, use our Trench Slope Calculator. You can also find countless other online tools that are accesible on your phone or computer.